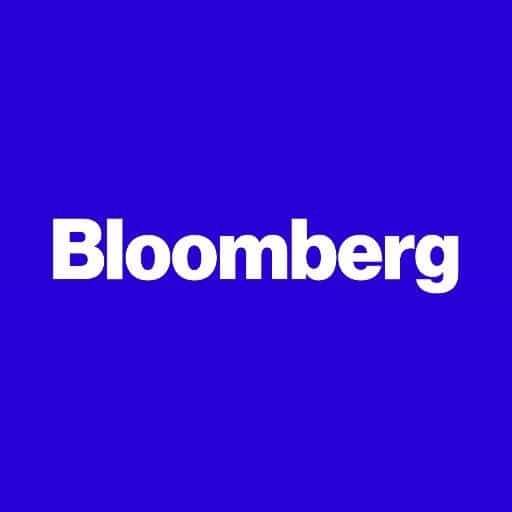 Bloomberg is on the vanguard of accurate and thoughtful reporting on the emerging and powerful trends of self-driving cars. In this recent article, Jess Shankleman succinctly points out why this autonomous automotive revolution is going to happen way faster than the markets (or the public) thinks. The coming transformation will claim victims from airlines to bicycles to public transportation. The potential winners and beneficiaries of this seismic change might surprise us all. Opportunities for investment could be as simple as buying beverage companies as more people around the world decide to have that extra drink because they don’t have to drive home. As Bloomberg points out, media companies like Netflix could also benefit from the self-driving car. There will be countless other investment implications—all of which are anything but clear. From a social perspective, driverless cars will change the world. 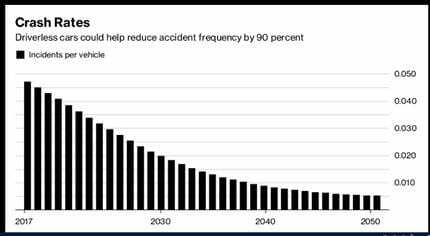 I am re-posting this Bloomberg story because it is one of the most concise and well-argued articles yet published on the topic of the convergence of ride-haling, autonomous driving, and electrification of vehicles. Ironically, autonomous vehicles have the potential to make Turtle Garage itself obsolete—along with the car culture of an entire generation. It is hard to imagine the possibility that in twenty years we will no longer be driving ourselves. However, I am more and more convinced that this our new reality. 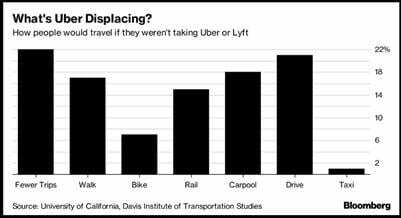 Ride-hailing services such as Uber Technologies Inc. and Lyft Inc. are already reducing demand for public transport across the U.S., according to a study from the University of California, Davis. 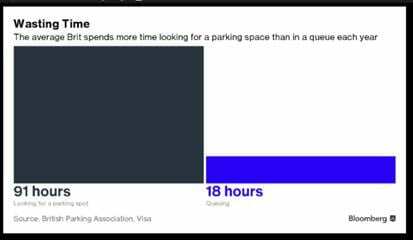 People use ride-hailing apps instead of taking the train, driving, cycling or even walking. 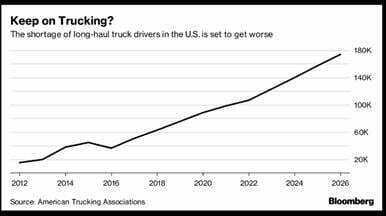 Autonomous vehicles may not be a such a bad thing for long-haul truckers because the industry is already facing a worsening shortage of drivers, said Evans. 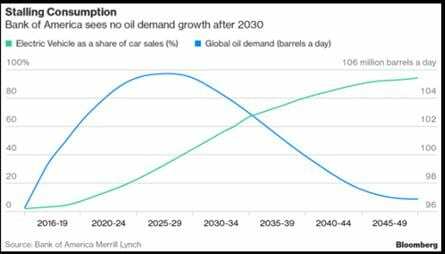 Some major producers, such as BP Plc, are already acknowledging the possibility that some oil resources will never be needed. This scenario raises difficult questions for Saudi Arabia, which has more than 70 years of crude reserves and hopes to achieve an IPO valuation of more than $1 trillion for its national oil company later this year. –With assistance from Samuel Dodge and Alex Longley. Boca Raton Concours d’ Elegance: Movin’ on Up! it’s probably time to start having a public discussion about what we should be able and willing to expect from self-driving cars. 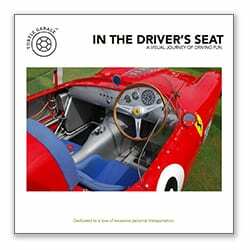 Once you remove the driver from control of the car, you probably will see them less engaged in maintenance. So the car may be called upon to prompt same. For example, if the car detects that braking is starting to fail, the car should advise the owner it’s time to get the car serviced and also advise that if service isn’t provided within a reasonable timeframe the warranty or product liability insurance is voided. If that’s the case, the car could notify your State Farm agent to let him know that the auto liability insurance will be responsible for any accidents related to braking failure. The car could recommend tire rotation schedule and prompt a regular safety check the driver could perform or they could take it to the EV version of a Jiffy Lube to get the basic maintenance taken care of. We’ll have a lot safer fleet of cars on the road if this sort of functionality is built in. I live in Columbus, Ohio. Drivers are so distracted that I will welcome autonomous cars. As it is, people are (really) running red lights that have been red for over 15 seconds, waiting behind stopped cars until the car in front is long gone (Gotta text my boyfriend! ), weaving in freeway lanes and in general being flakey drivers. Someone driving for these people will be a breath of fresh air. I think….. Distracted driving is a dangerous epidemic. You notice it, even more, when you drive a motorcycle on the street! Philip Richter, thanks for the article post.Really thank you! Great. The times they are a changin…. I do not dispute the possibility that all of these predictions could come true. However, at my advanced age I have seen a lot of predictions that vastly overstated the effect of new technologies on our world. When I was a kid in the 50’s we all thought that people by now would be zipping around in their personal helicopters, and cars would be gone, and that nuclear power would replace fossil fuels. More recently, many said (Steve Jobs included) that the “old technology” CD would disappear in favor of the Cloud and iPods. Hasn’t happened. People want to own their own music. Wired phones should be gone by now according to prognosticators. Didn’t happen. They predicted that books and magazines would disappear, completely replaced by ebooks and the internet. But the most recent data shows that books and magazines are coming back. People don’t want to spend all day in front of a computer monitor or iPad. People like tangibles. Cursive handwriting was supposed to disappear since “everybody types or dictates now.” Some school districts are now reinstituting the teaching of cursive writing because the alternatives are no substitute for rapidly writing things down, and reading what others have written. “Nobody is going to shop in stores anymore because it’s so easy to order online.” Yet more than 80 percent of sales by revenue are made in stores. 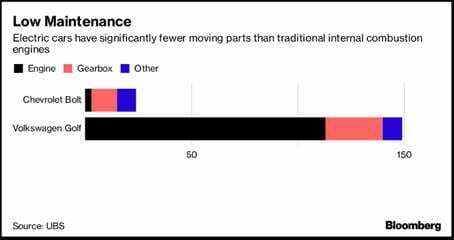 “Automatic transmissions will cause stick shifts to disappear.” Yet eighty percent of the cars sold in Europe and Japan have manual transmissions. Fuel economy is no longer relevant to transmission type. So why haven’t these folks all switched over to the newer and more convenient technology? “Everybody is going to be driving electric vehicles.” I have two plug-in cars in my garage but I don’t know anybody else who has even one. “Libraries will wither away because everything is available on the internet.” Yet our local library remains the most active place in our town. All of these new technologies give people more alternatives in how to live their lives and spend their time. But to argue from the advantages of one technology that “everybody” is going to change to the newest technology has in so many cases proven to be wrong. Nobody writes of the difficulty of having cars at your beck and call. It’s just not realistic to think that people are going to give up ownership of their own car because of the availability of self driving cars at their beck and call. A person will have to sign up and commit to a travel schedule in order to reserve a car for a particular time. There won’t be enough available cars to meet everybody’s wish to always have a vehicle available for a spur-of-the-moment trip. 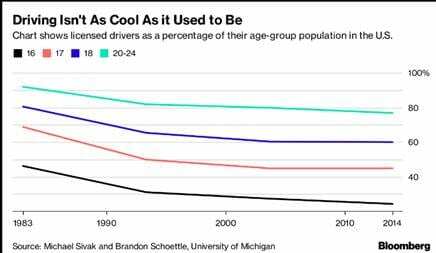 That disadvantage alone is highly significant, since Americans will not tolerate waiting around for a car to pick them up for a trip to the 7-Eleven. But there are many other hurdles all requiring investment of huge capital with uncertain possibility of returns in order to create conditions sufficient to substitute for car ownership. Bob, your points are well said and persuasively argued. Yes, this is going to be a bumpy road. No matter what, there is going to be a lot of change coming as advancing technologies collide with human preferences and habits. Thanks for your thoughtful comments!